How to add a sound clip to a particular character in the animator? Hello Everyone. 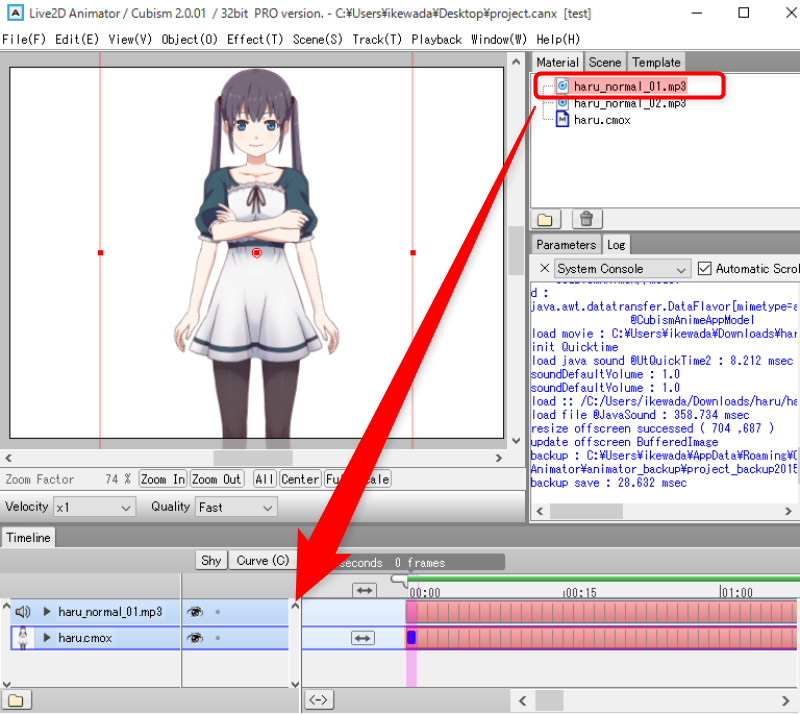 I am facing Problem regarding how to add a sound to a character in Live2D Animator.When I import an .wav file, and then when I click on Effect->Lip sync Then the Lip sync window appears. but After that in the Basic Settings option, If I click on Audio Track then it shows no drop down list. i.e. it shows empty space.Also I am confused like how to use the Open/Close Settings to implement the sound..Please Please Please help me..Your help will be valuable..Please reply as soon as possible.Thank you so much in advance. Did you drag and drop audio files to TimeLine? audio files to Audio Track list does not appear . When sound volume is large, large open character of mouth . When sound volume is small, small open character of mouth . It is the specification of the lip-sync function . Maybe, I think the volume of the audio file is small . You can adjust the opening of the mouth by fiddling the Zoom Factor . Final adjustment should be to change the parameter values ​manually . Thanks a lot for the help man.!!! It would have not been possible without you..
any audio format that supports to be used on live2d? Also, this article in our manual may be helpful for your question.